Show off your patriotism with this 6" x 9" economy cotton U.S. stick flag on an 18" dowel! 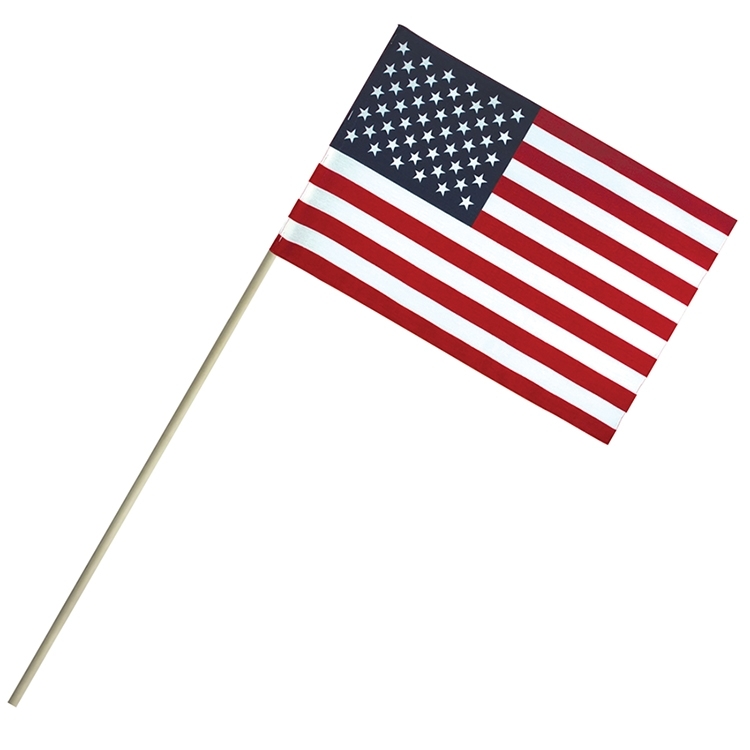 This patriotic promo is made using cotton materials with a natural wood dowel and is great for showing off at patriotic events and passing out at speeches, rallies, corporate parties and more. The no-fray material requires no hemming making this flag a promotional basic that you can count on for patriotic display at any promotional or patriotic event or occasion.